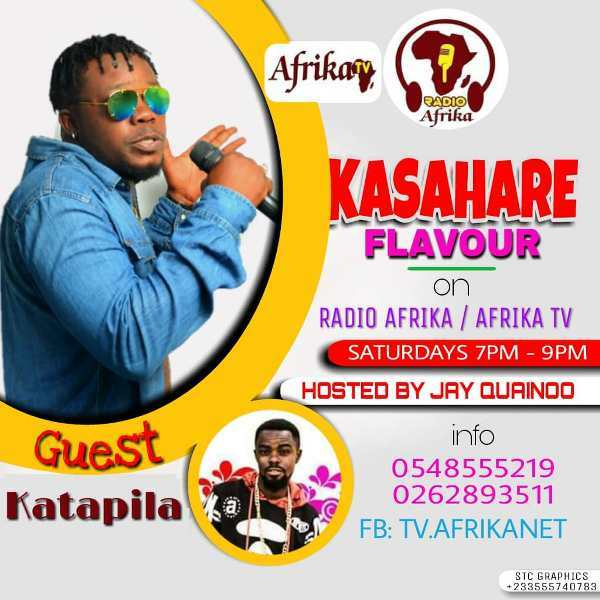 Budding Sunyani-based hip-hop/hiplife artiste, Frank Asare, popularly known as Nsemonee Katapila is gearing up to be on Afrika TV/Radio Afrika’s Kasahare Flavour. The program is scheduled to take place on Saturday, September 8 2018. The show, which is hosted by Jay Quainoo is expected to kick-start from 7 PM to 9 PM. In a recent interview with the News Hunter Magazine, Nsemonee Katapila stated that he is the best rapper in Sunyani and nobody can compete with him. “I love what I do and I am very focused. I can boldly say that I am the best rapper in Sunyani. I have the qualities,” he told the Newshuntermag.com in a chit-chat. He touted the upcoming Brong Ahafo Music Awards--and added that he will win more awards. “If things go as planned, I will win more awards in the upcoming Brong Ahafo Music awards. It is good that at long last we will have our own awards in the Brong Ahafo Region,” the Don King singer stated.